The Central Lakes College Ag and Energy Center is committed to providing leadership in crop applied research and demonstration including both field and horticultural crops, delivering education/training, and collaborating with industry. Production practices provide revenue that supports sustainability of the Central Lakes College Ag and Energy Center as an enterprise of Central Lakes College. Central Lakes College is located in the upper middle region of the state of Minnesota. Farm land in this region is transitional in nature, dividing the high quality agricultural land to the south and the forested lands to the north. The region served is currently facing economic challenges with many jobs being part-time or seasonal. However, the area does have a diversified economy of industries which includes manufacturing, construction, financial services, forest-wood products, healthcare, printing, publishing & marketing, specialty firms and tourism. Public schools and colleges, along with the healthcare system and tourism, are the major employers in the area. The 2018 Strategic Plan was developed through a collaborative process with stakeholders from Central Lakes College, business and community leaders, and representatives from agricultural industries and institutions. Valuable feedback was received and has been used as a basis for developing this new strategic plan. As a result of the broad collaboration and participation in the planning process, goals have been developed for the Center along with purposes, process steps, and outcomes. This plan will provide guidance for modifications to the existing work plan for the Center. It will also provide direction to achieve the mission and vision of the Agricultural and Energy Center, resulting in an enhanced opportunity to provide partnership and leadership in agricultural and energy production and practices to support economic development for the region. Central Lakes College Ag and Energy Center builds futures as it delivers valuable products, services, and education which contribute to the economic vitality of the region. To be the premier Ag and Energy Center known for leadership and collaboration in innovative demonstration, research, education, and training. Develop and deliver multi-faceted education, training, and outreach that is innovative and meets the needs of the agriculture workforce, K-16 education, the greater business community, and the local community. Expand the research activities of the Center, including upgrading of research equipment, by maintaining current partnerships and building new partnerships and focusing a portion of our research on projects that benefit local area farmers such as white mold, water quality, soybean cyst nematode, and cover cropping. Demonstrate, promote, and showcase best management practices (BMPs) in agricultural technology and environmental stewardship while maintain community citizenship when generating and evaluating data and disseminating results. Develop a comprehensive strategy that includes crop production, staffing needs, and aggressive pursuit of alternative funding sources such as grants to ensure the financial sustainability of the Center. Work to eliminate the disconnect between the public about who we are and what we do at the CLC Ag Center through legislative connections, student K-16 connections, and research opportunities. 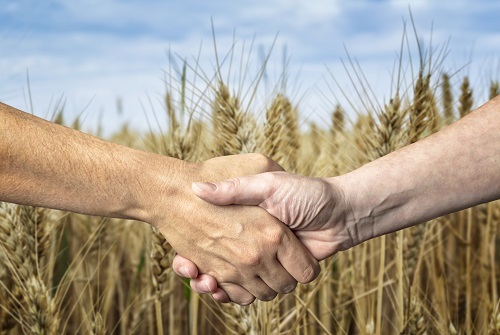 Identify a niche market for the CLC Ag Center that would potentially increase the profitability of farmers in the region specifically regarding opportunities in improving water quality and implementing cover crops and grazing. Goal #1: Develop and deliver multi-faceted education, training, and outreach that meets the needs of the agriculture workforce, K-16 education, the greater business community, and the local community. Add a new element. There’s a trend toward newness. Goal #2: Expand the research activities of the Center, including upgrading of research equipment, by maintaining current partnerships and building new partnerships and focusing a portion of our research on projects that benefit local area farmers. Goal #3: Demonstrate, promote, and showcase best management practices (BMPs) in agricultural technology and environmental stewardship while maintain community citizenship when generating and evaluating data and disseminating results. Goals #2 and #3 have a lot of opportunity to improve and move them forward. Goal #4: Develop a comprehensive strategy that includes crop production, staffing needs, and aggressive pursuit of alternative funding sources to ensure the financial sustainability of the Center. We’re a part of a national consortium – leverage funds that way? Goal #5: Collaborate and build partnerships to show case local food and health in the local communities. Goal #6: Develop and support a separate advisory committee for the Living Legacy Gardens. Jim Kurpius has a vested interest in this project. These last two goals #5 and #6 are completed and can be moved off the list. Research needed that addresses both water quality and an agricultural issue is key. Celebrating 50 years this year. Nominations for someone to chair the next meeting. Motion was seconded by Braden. Sam Eisenbraun – Wensman Sales Rep.